Getting a serious injury can cause even deeper emotional injury. The event that caused the injury can actually cause many mental issues such as post-traumatic stress disorder, which is a very serious condition. However, through our physical therapy in Far Rockaway, Road to Recovery Physical and Occupational Therapy aims to not only aid your body and to help restore your strength, but to also help heal your mind as well. We believe that through our services and through the positive outlook that we are providing, you will not only be able to overcome the many physical hurdles that are in your way but to also help overcome the emotional trauma that you have sustained. Physical Therapy: One of the most common services we offer is physical therapy in Far Rockaway. This service is designed to help restore the strength that you may have lost due to an injury or an operation. If you were severely injured and were hospitalized for months, you will be weakened and you may not even be able to walk as well. Through our physical therapy, we can help you slowly piece your life together until you get back on your feet, literally. Depending on the injury or operation, this can be a slow process but we will guide you through every step of the way. 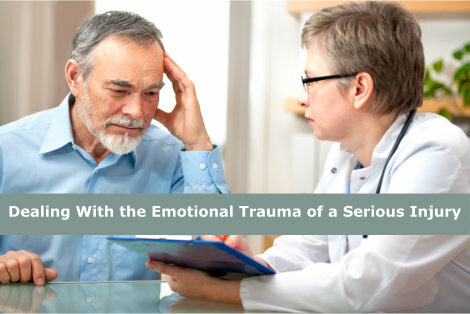 Emotional Healing: Through our physical therapy we can provide the emotional healing you need. When you are able to see the progress you are making through our therapeutic services, this can help you feel a lot better about yourself. It is easy to become depressed before the therapy, but through our services, we can show you that there is a way back to your old life. This positive outlook can even help you if you are experiencing PTSD or post-traumatic stress disorder as well. Because when you know that there is a way back to a normal life, it is possible to let go of the terrible experience you went through. Emotional trauma can be just as serious as the physical injury and this is why we make sure to help you find hope in what seems like darkness. Our website www.b2hpt.com is filled with useful information about our services and what we can do for you. If you still have any questions that you would like to ask us about recovery programs and rehabilitation in general, you can reach us at 718-868-8668. It is time to start living a normal life once again! This entry was posted in Road to Recovery and tagged back pain, Finding Your Independence, fractures, injuries, Physical Therapy, sports injuries, stroke. Bookmark the permalink.